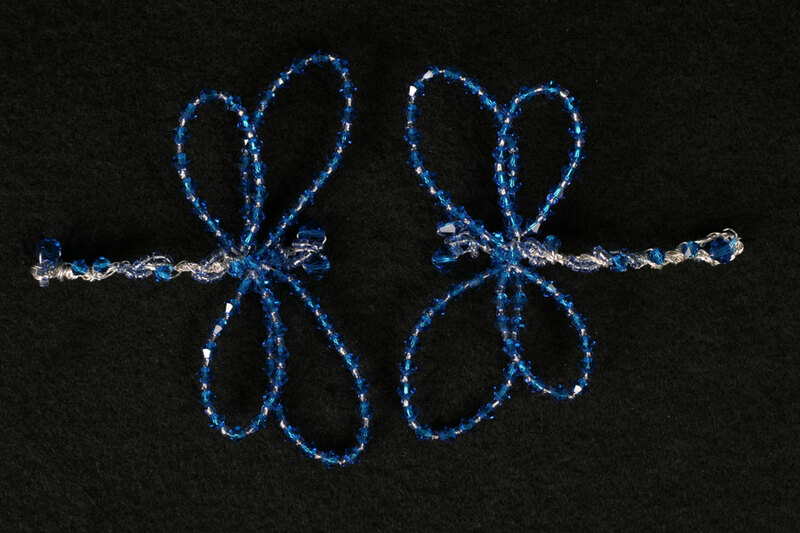 Beautiful abstract dragonflies handcrafted in deep capri blue and clear Preciosa crystal woven with silver wire. Ideal for bride, bridesmaid, prom or dance hair embellishment. Can be mounted on a band, comb or slide or worn as a broach mounted on a silver broach pin / hat pin. Perfect as gifts or something unusual to compliment your wedding theme.